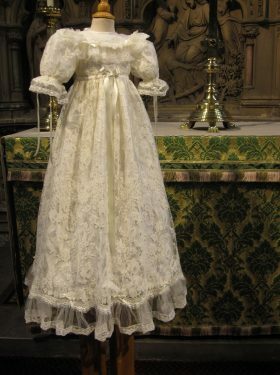 The Josephine Gown is probably one of the most classic gowns within the collection. 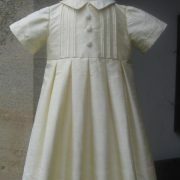 It is a simple yet elegant christening gown created using a gorgeous yellow thick silk dupion. 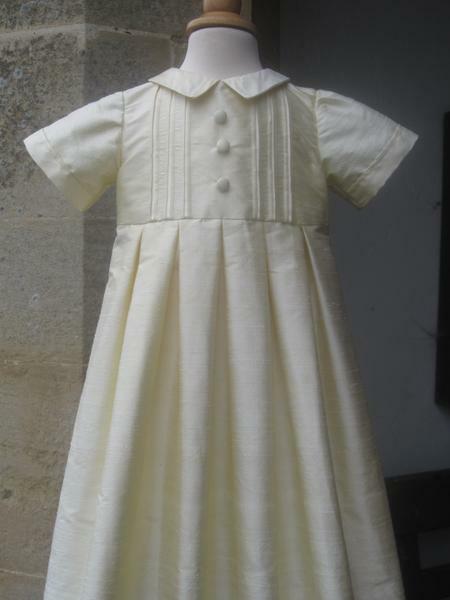 The bodice has delicate vertical pintucking and a centre row of silk buttons. 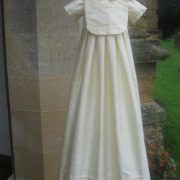 The skirt is Cathedral length and as such drapes beautifully over the arm when holding the baby. 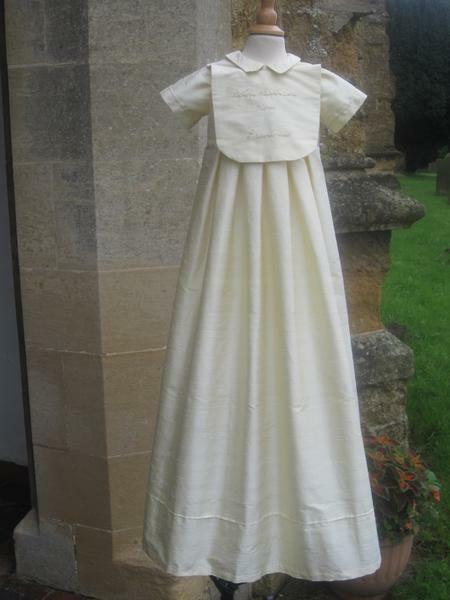 It is plain apart from a row of pintuck detail above the hemline. 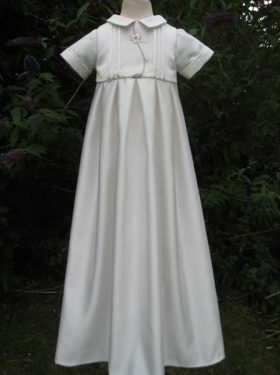 Narrow pleats join the skirt to the bodice at the waistline. Short sleeves with pintuck detailing complete the outfit. 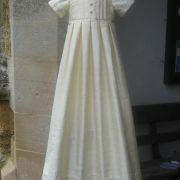 The gown is finished at the back with covered silk buttons. a lovely day and she looked wonderful. 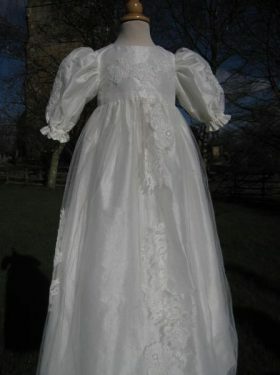 Thanks for making such a beautiful robe for her. 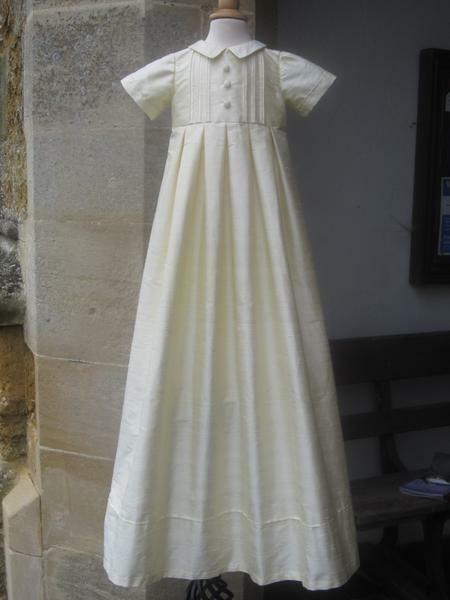 Although shown in the most beautiful yellow silk the Josephine Gown is also available in ivory or white, and in either silk or satin. 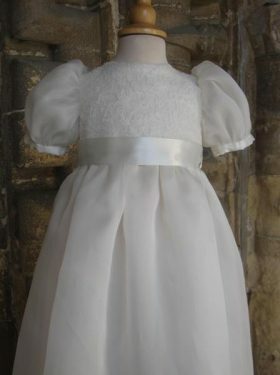 All Josephine Gown accessories are made to match the Christening Gown using the same silk or satin fabric and matching pintuck detail.